Gabachos, Angelenos, hounds and pochos. What am I going to do with you? Burritos, tacos, tortas, carnitas, guacamole, shrimp cocktails, and chips! That’s all you ever talk about. You eat authentic Chinese in the SGV, poopoo our best ramen joints as being nothing like the ones in Japan, are in lock step in regards to the Izakaya Bincho’s, do Indian in Artesia, you know how lame the latest fad restaurant opened by a celeb chef really is, you give only golf claps to our best Italian, and every last one of you seems to know authentic Thai. Yet, you can’t wait to have your next Hollenbeck, carnitas and margaritas at some hipster fave like Alegria, or chow down on a plate loaded with cheese, rice, beans, and enchiladas. Que paso? Well, don’t be discouraged, help has arrived to wean you off these vices. Yes, there are Mexican burritos, which originated in northern Mexico, but there is a difference between the burritos nortenos and the American version, a slop envelope of flour tortilla. For the purpose of this post I’m calling all non-Mexican burritos American. That includes Cal-Mex, Tex-Mex, East LA Mex, Mexican-American, etc. The burrito was born in Chihuahua where popular tradition attributes the invention to Juan Mendez, who would would store guisados in flour tortillas and transport them by burro to Ciudad Juarez for sale.Hence the name, burritos! Today the fine Chihuahua burrito tradition is famously represented in Villa Ahumada with their famous burritos of asadero cheese, where motorists driving from Cd. Juarez to Chihuahua stop to pay homage to the burrito norteño. In Sonora, burritas de machaca are a must have snack, along side a bit of frijoles maneados (refried beans made with two cheese and chorizo mixed in). Northern Mexican burritos are thin, usually made with wheat flour, and have a single guisado, but no more than two ingredients. The best ones I’ve had recently were in Jalisco at a burritos norteños stand, a burrito with picadillo and another with rajas con queso (chile strips with cheese)--great 2AM street eats. Sergio of Mariscos Chente turned me on to Ricos Tacos El Tio in Inglewood. These burritos can be found in Sinaloa and other northern states. Here they are known as all-meat burritos, or de pura carne. El Tio is a ‘hood joint frequented by local blue collar types and itchy scratchy armed street characters, another great people watching opportunity. Here I ordered a chicken burrito, which had a dollop of slightly runny refritos to give the burrito a more stew-like texture. These aren’t the norteño burritos, but Mexican in their simplicity of a meat with some cilantro and onion, and saucy beans. There is no rice, sour cream, lettuce, or guacamole. As the chef said, no one puts rice and all that stuff in a burrito. This was good, but not the dish I was craving. On my way to La Casita Mexicana, racing down Florence I caught the word Norteña on a sign out of the corner of my eye. I pulled over and there it was. Gorditas Norteñas in Bell has typical foods of Mexico: tacos, sopes, quesadillas, some Americanized comida corrida(fast food), and a burrito menu. The burrito norteño comes with deshebrada with avocado, and a light spread of mayo. It’s rolled thin and then finished on the grill. But you can request any guisado to be done norteno style. They have many interesting stews despite their rather ordinary menu: nopal con huevo (cactus and eggs), carne de puerco en chile rojo, requeson (Mexican version of ricotto cheese), choriqueso (chorizo and cheese), chicharron en chile verde, and of course frijoles con queso. This a Mexican loncheria and the various cooks hail from Zacatecas, Aguascalientes, Morelia, and other Central-Mexican cities of central Mexico. The gorditas are excellent from this part of Mexico, and you should them here as well, they are thin and airy like you would find in Mexico. Pick any guisado from the menu to stuff it with. So, the next time you get a craving for Mexican, but aren’t ready for a rabbit mixiote, sautéed ant eggs, or a breakfast of barbacoa and morcilla (blood sausage), you can eat an authentic northern Mexican burrito, guilt-free. 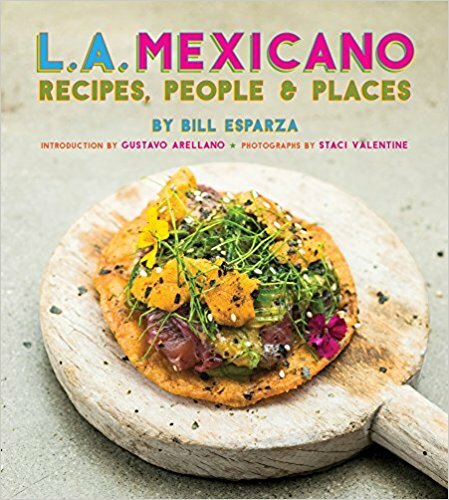 When your food snob, or Mexophile friends start hating you can have your savory revenge. Just don’t’ order the wet burrito! Hahaha.Just put a smile on my face! hi bill! your post makes me want it.